Your thoughtfulness and big hearts for our loved ones are more meaningful than you can know...you are so appreciated...good tidings for the New Year! Carol is a lovely person and fabulous yoga instructor. You'll feel right at home the moment you walk in the door. Circle Y Yoga studio is the perfect environment to find peace and calm. The space and property are breathtaking and the atmosphere welcoming. Highly recommended. After two back surgeries which resulted in nerve damage & two knee surgeries I found Carol Holmes at her studio at Circle Y Yoga. From her trained instruction, I have been able to rehabilitate my back greater than my two years in physical therapy. My flexibility level and alleviation of pain further encourages me to continue classes with Carol. This year I had surgery on both feet & Carol came to my home to work with me in “chair yoga” to keep weight off my feet yet use poses for circulation & blood flow to encourage healing to my feet. For availability hours please check the Calendar, Click here to View Calendar. "Your thoughtfulness and big hearts for our loved ones are more meaningful than you can know...you are so appreciated...good tidings for the New Year!" "A Beautiful day Hike at PK and Yoga with Carol this morning and Lunch at the Lush Resort!! Look forward in doing again"
"I attended a CPR AHA certification class here today. Carol is an excellent, confident and thorough instructor and provided the most hands on experience I've ever received in a CPR course (I've taken two previously). Her studio is gorgeous and was a very relaxing place to learn. She also offers a complimentary stand up paddle or studio yoga class to CPR and BLS certification students. Highly recommend!" "I love this place, wish I would have found it sooner!" "Carol is a lovely person and fabulous yoga instructor. You'll feel right at home the moment you walk in the door. Circle Y Yoga studio is the perfect environment to find peace and calm. The space and property are breathtaking and the atmosphere welcoming. Highly recommended." 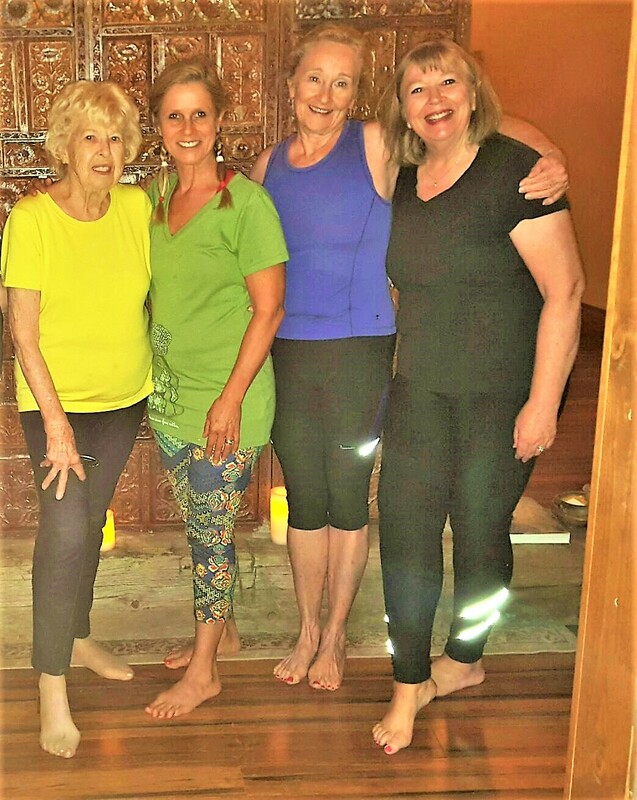 "After two back surgeries which resulted in nerve damage & two knee surgeries I found Carol Holmes at her studio at Circle Y Yoga. From her trained instruction I have been able to rehabilitate my back greater than my two years in physical therapy. My flexibility level and alleviation of pain further encourages me to continue classes with Carol. I would encourage anyone considering yoga to improve the health & strength of both mind & body to consider Circle Y Yoga. Certainly anyone can benefit from Carol’s expertise & knowledge." "My husband is definitely enjoying Connect Camp. I can't thank you enough for providing this opportunity for him. Thanks so much for the photos. I forwarded them to our kids, and they'll be thrilled to have them. You're just the BEST!"